The Distant Thunder Whisky Club: Telly Savalas – Feel the Velvet, baby. Telly Savalas – Feel the Velvet, baby. I love vintage whisky advertisements as much as the next Ladies Man, Man's Man, Man About Town but sometimes I come across an advert I just have to share. 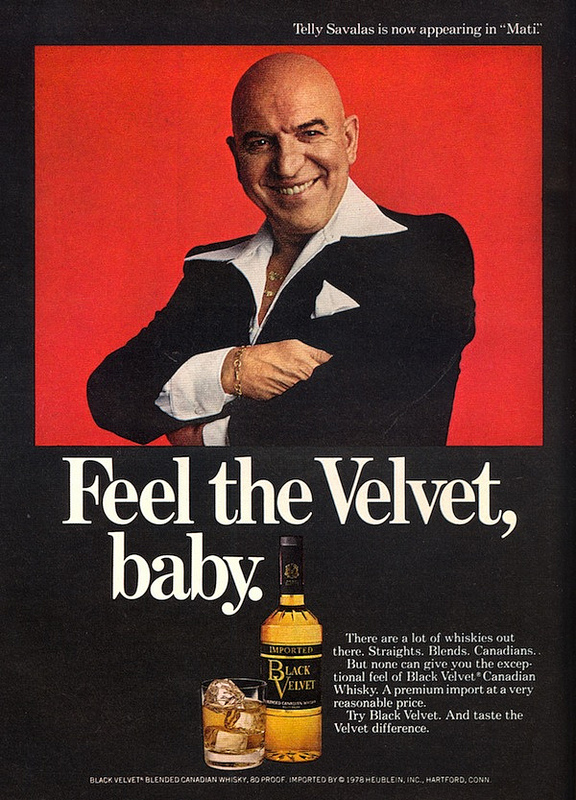 The 1978 Telly Savalas Black Velvet print advertisement is certainly one of them. This advertisement was an endorsement for Black Velvet's 30year anniversary. I do remember some old Black Velvet adverts but never this one. A man larger than life this ad never needed anything more. Enjoy!